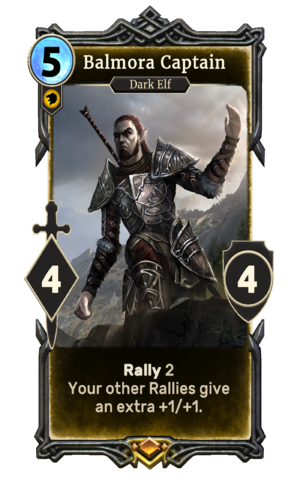 Balmora Captain is a legendary Willpower creature card. It is part of the Houses of Morrowind expansion. "Just leave this to my soldiers." "I'll do anything for my House." This page was last modified on 28 February 2019, at 00:05.